There has been a lot happening in my life lately, but when I do get the chance at the end of the day I like to scroll through Pinterest – what else would I rather do, am I right? - and allow myself to be inspired. 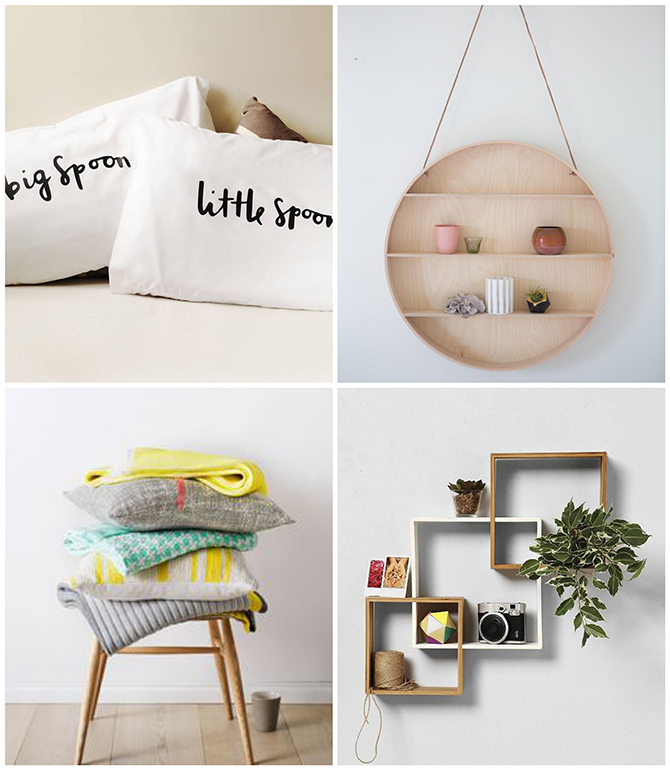 Lately I have been inspired by a lot of homeware accessories, and I thought I would share with you my top 4 I found. What has been inspiring you? I need more of this, colours and pretty things! It's making me so excited to decorate a new room! I know right! When I saw them on Pinterest it's safe to say I was a little excited. I absolutely love the round shelf!!! So beautiful! Love all the awesome shelves that are about at the moment! So want the circle one, and also a couple of house shaped ones! Great blog! Would you like to follow each other? Let me know in my blog and I will immediately follow you back! I just love pillows that have writing on them. So I'm swooning over the ones right there. Definitely the canvas art I keep finding on pinterest. It's lovely. I want to whip out my paint sets and get to work. Love your choices and I love that it looks so simple yet very nice. Great post.